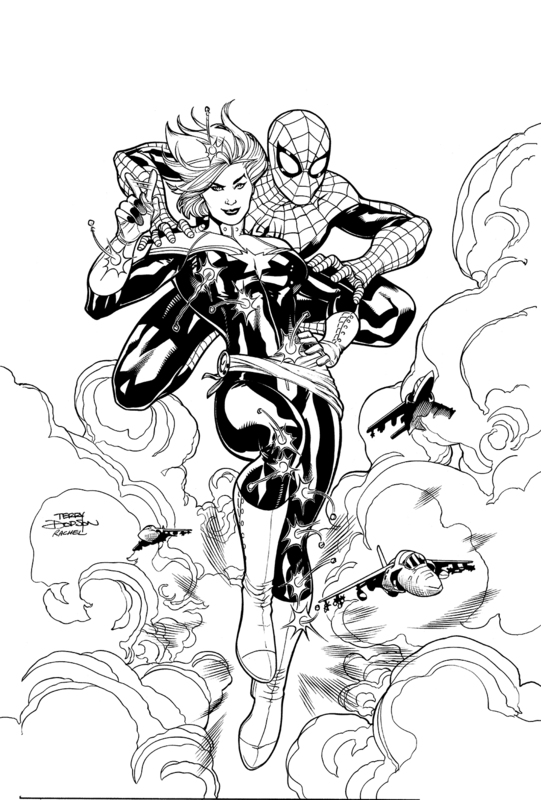 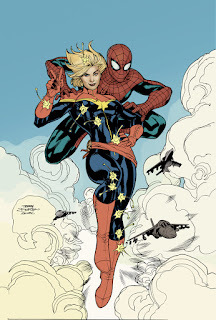 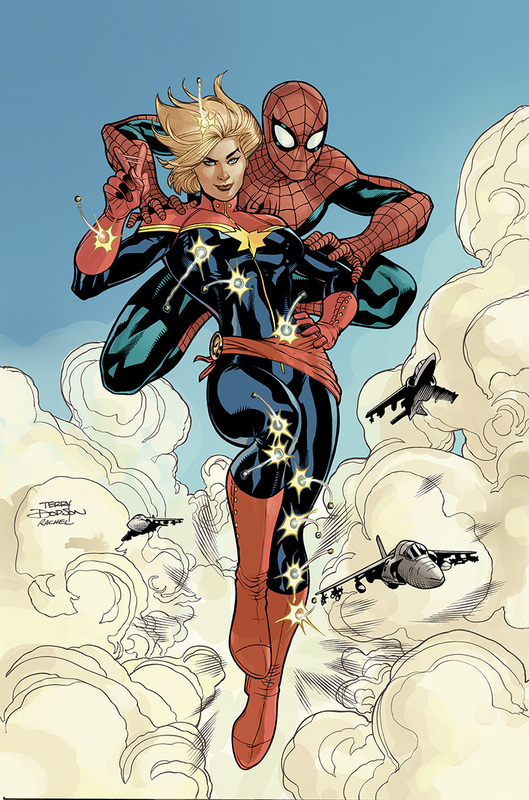 Here is my process for creating the cover to Avenging Spider-Man #9 (July 2012) featuring Captain Marvel and Spider-Man. Didn't have much to go off so this is what I did! 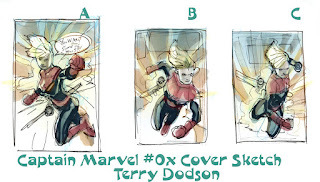 Here's the little 1 x2 inch roughs adjusted and colored in Photoshop I sent in to Marvel for approval. 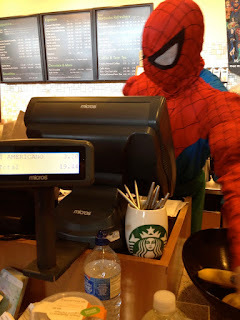 Spider-Man works at Starbucks in San Diego ever since he was canned at the Daily Bugle. 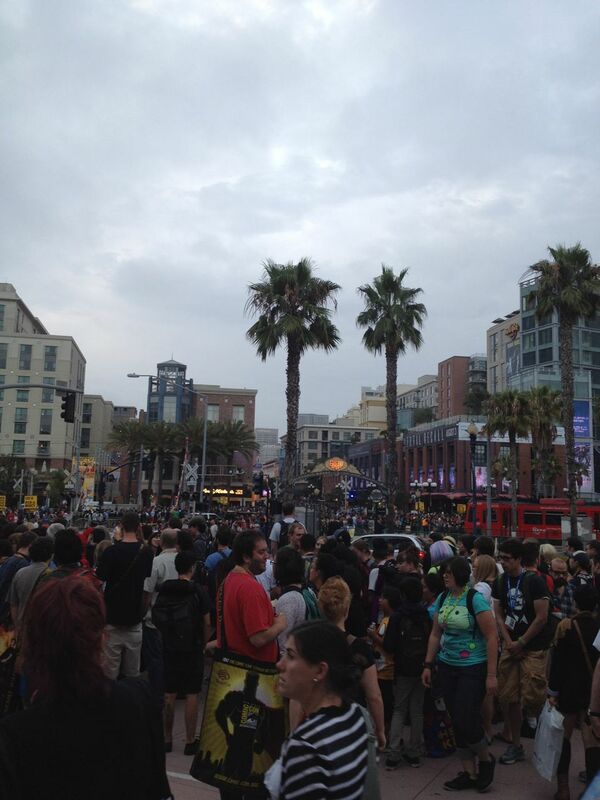 Getting out of the con for a little fresh air - on the boardwalk BEHIND the con. 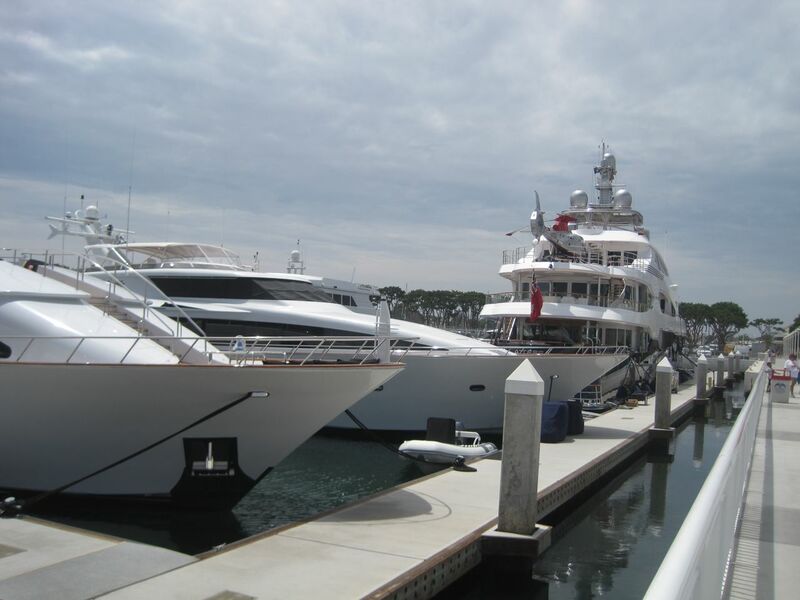 Some of the ginormous yachts in the marina. 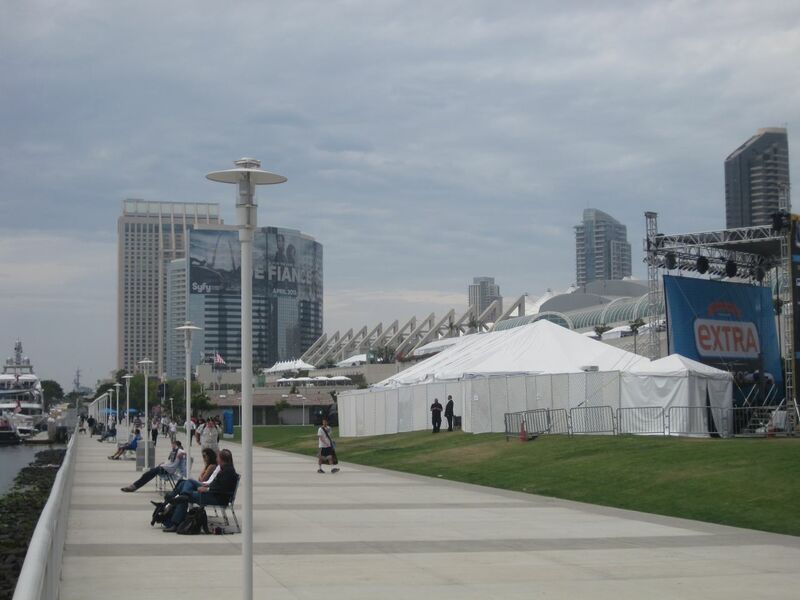 Behind the con - a ton of booths and exhibits everywhere. 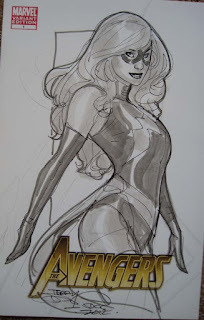 A quick little sketch of Carol Danvers "AKA" Captain Marvel in her previous life as MS Marvel from the SDCC, July 2012. 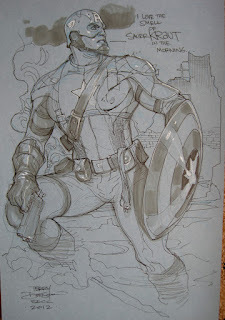 Drawn on a blank Avengers cover with Pencil, Copic and Pitt Pens. 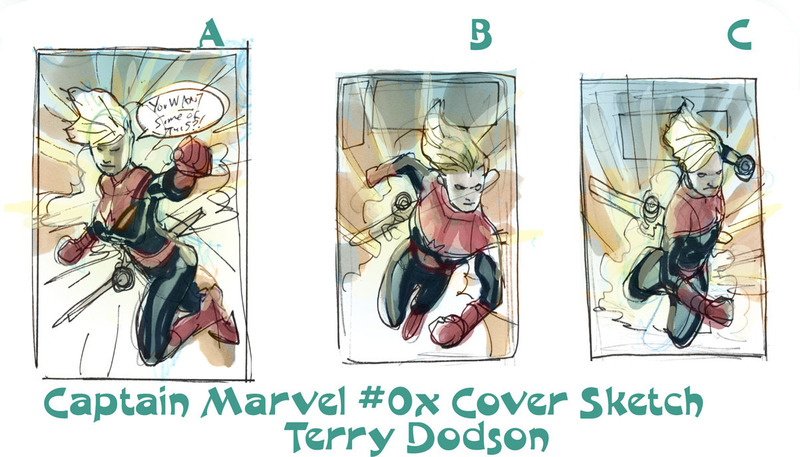 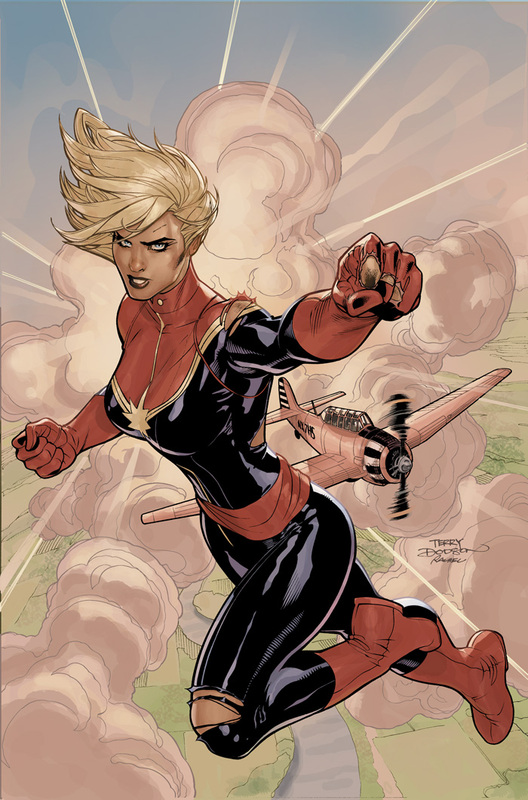 Here's the 3 cover sketches I sent into Marvel for the Captain Marvel #5 cover. 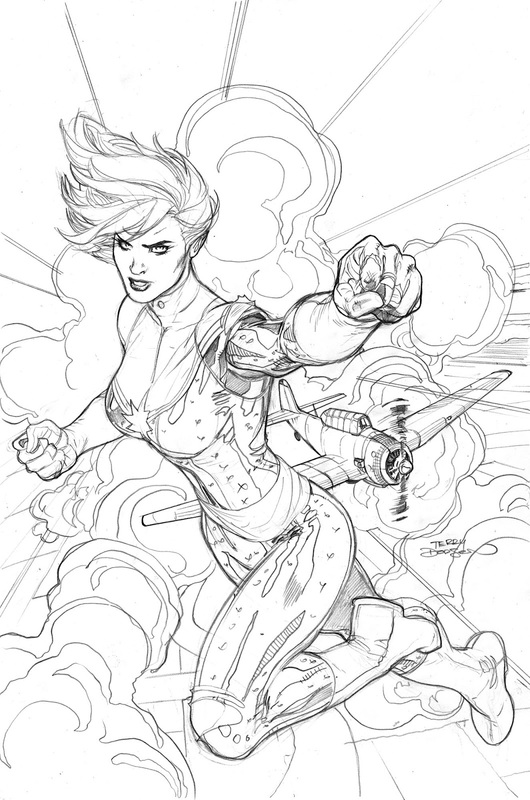 Drawn at about 2 x 3 inches in my sketchbook then scanned and colored in Photoshop. 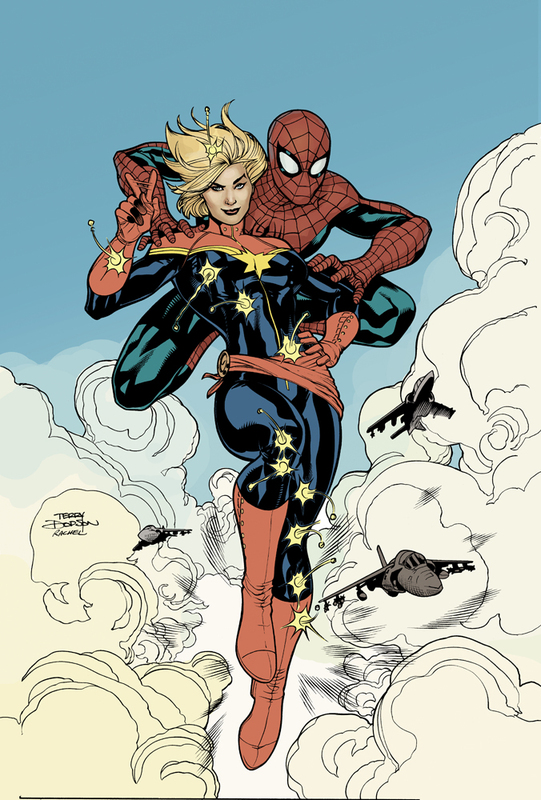 Colored for solicitation in Photoshop CS3 with a Wacom Intuos Graphics Tablet. 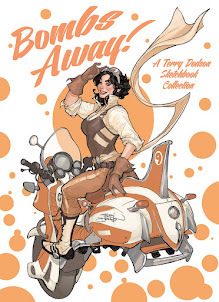 Will do some tweaks for final printing. 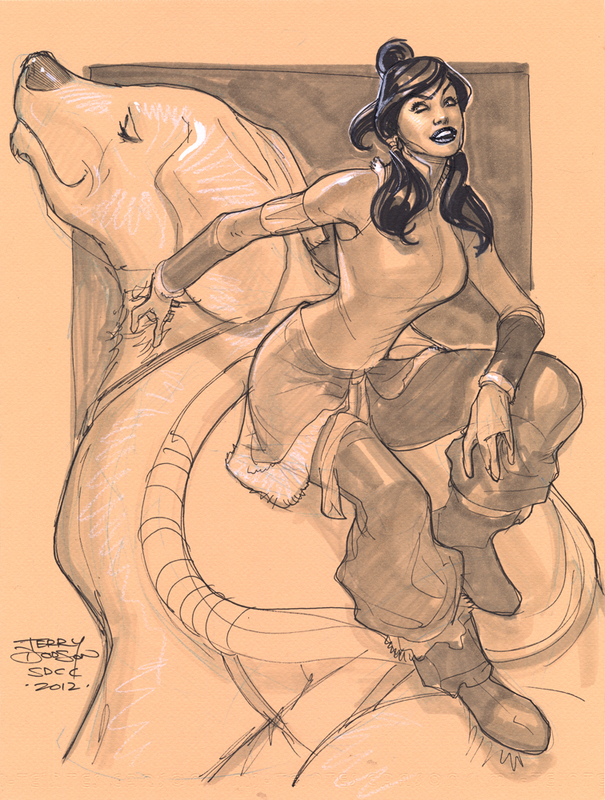 Korra and Naga from the cartoon "Legend of Korra" - a convention sketch drawn at Comic Con Int'l, San Diego July 11-15, 2012. 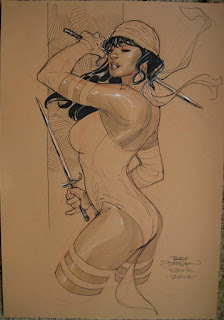 Drawn on 11 x 14 Canson Pastel Paper with Col Erase Light Blue Pencil, HB Lead Pencil, Pitt and Copic Pens, Warm Grey Copic Markers and Prismacolor Pencils. 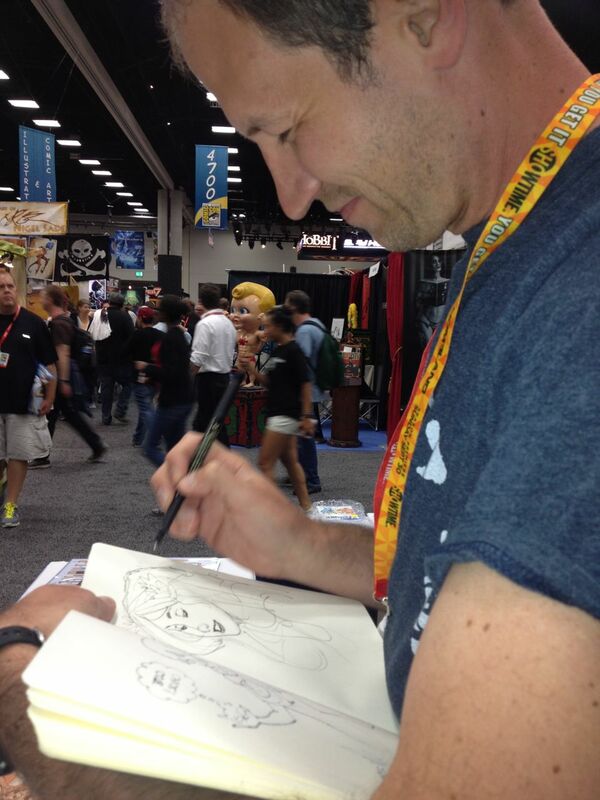 Nothing like standing and drawing with a pen in front of a crowd - just like in the studio. 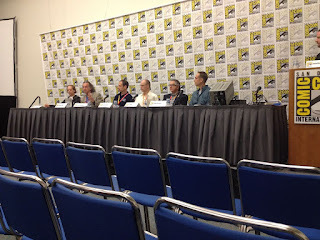 The Flesk Panel from Thursday morning. 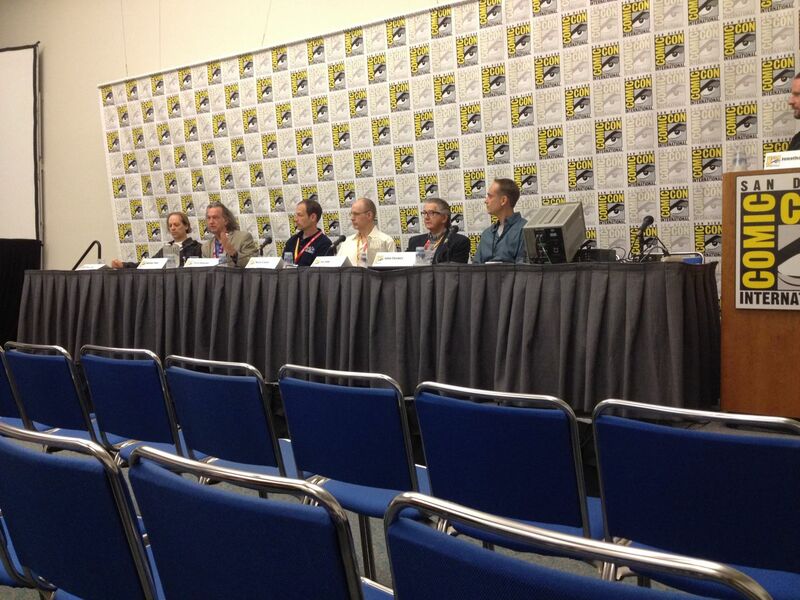 John Fleskes asked me to do this panel and I said yes of course, what a great seat to watch and listen! Great panel and I will post a link up when I have one with details from it. 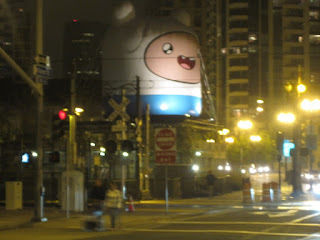 First shot from San Diego SDCC 2012. Rachel and I came in a day early for SD this year, Tuesday. 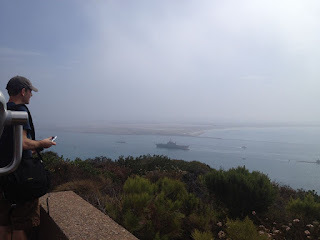 After setting up the booth at 0700h Wednesday, we went out to Point Loma for the day, to get some sun and see the amazing view! 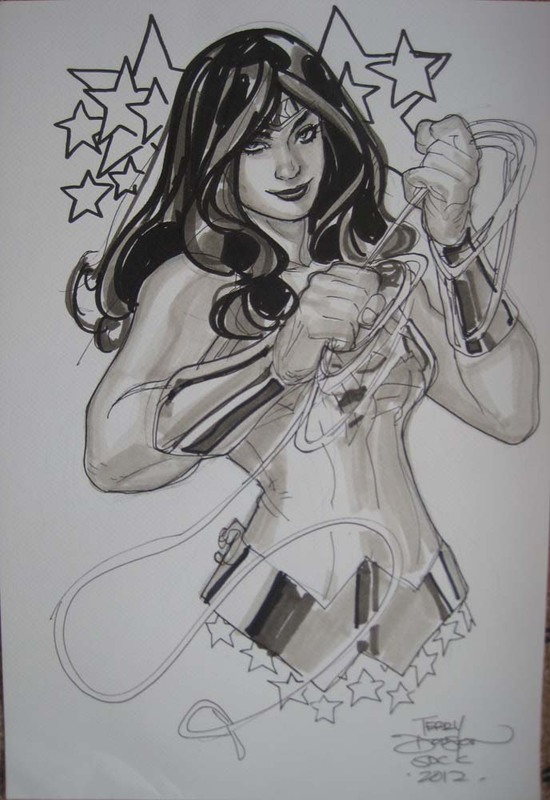 Something a little heroic for today - a bust shot of Wonder Woman. 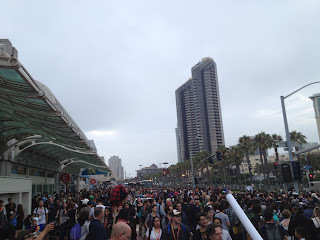 From Comic Con Int'l, San Diego July 11-15, 2012. 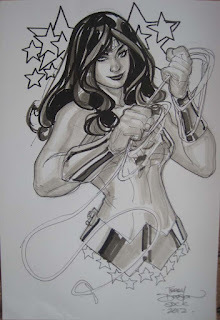 Drawn on 11 x 14 Bristol Board with Col Erase Light Blue Pencil, HB Lead Pencil, Pitt and Copic Pens, Warm Grey Copic Markers and Prismacolor Pencils. 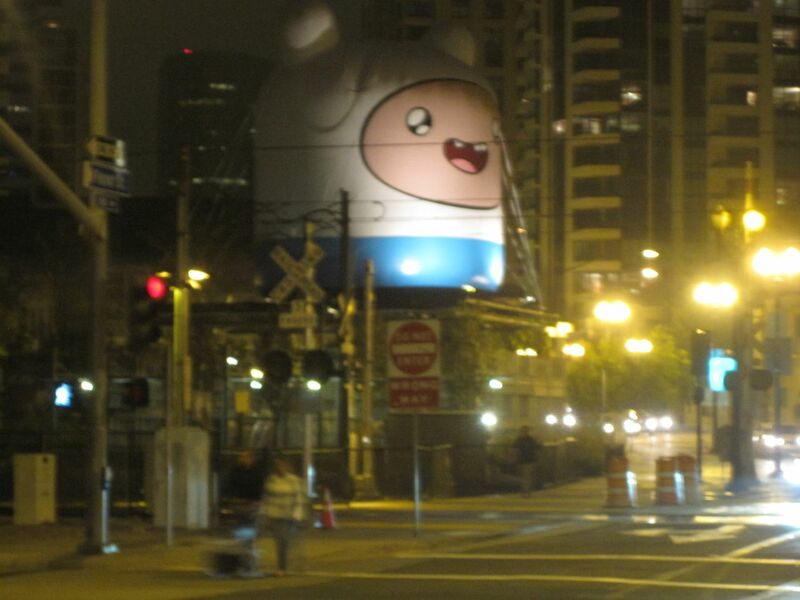 Time to take out the trash! World War II era meets Movie era Captain America reciting lines from a movie that won't come out for another 30 years - I love doing con sketches! 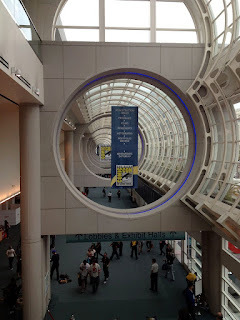 From Comic Con Int'l, San Diego July 11-15, 2012. This is Mandy, the creation of Dean Yeagle, a great artist and even greater guy! 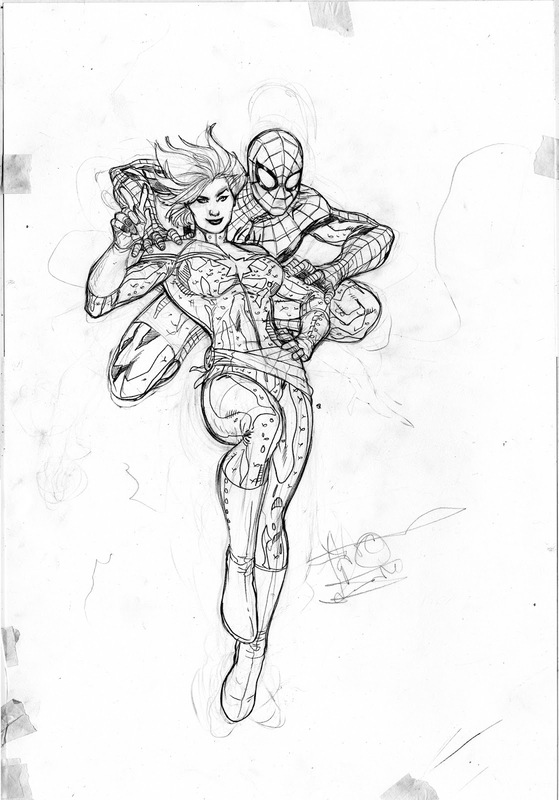 I'm pretty sure this is the first time I have drawn here. From Comic Con Int'l, San Diego July 11-15, 2012. Daredevil's old flame, Elektra, from Comic Con Int'l, San Diego July 11-15, 2012. Red Sonja and Kitty Pryde (Shadowcat) and Lockheed from Comic Con Int'l, San Diego July 11-15, 2012. 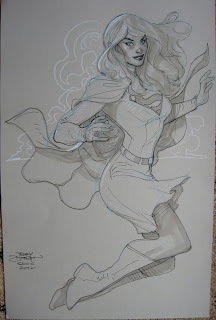 Here's Supergirl from Comic Con Int'l, San Diego July 11-15, 2012. 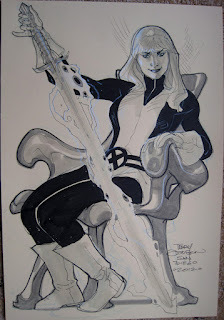 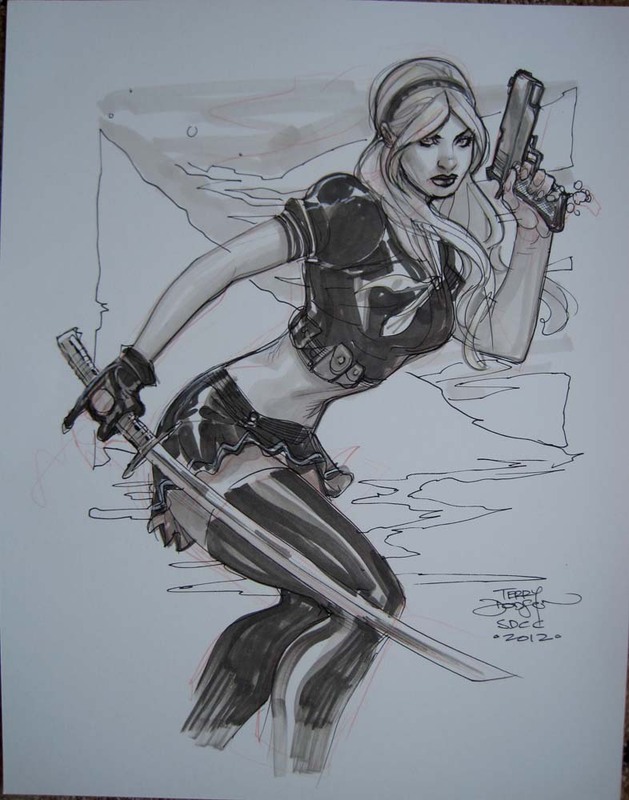 Straight from SDCC 2012 - Magik! Here's my first sketch from Comic Con Int'l, San Diego July 11-15 - Magik from the X-Men! 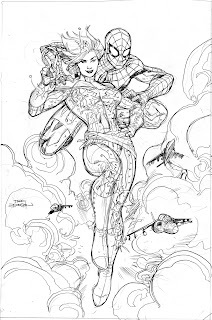 Rachel and I will be appearing at CCI San Diego, July 11-15 at booth 4706. I will be at the booth most of the show. 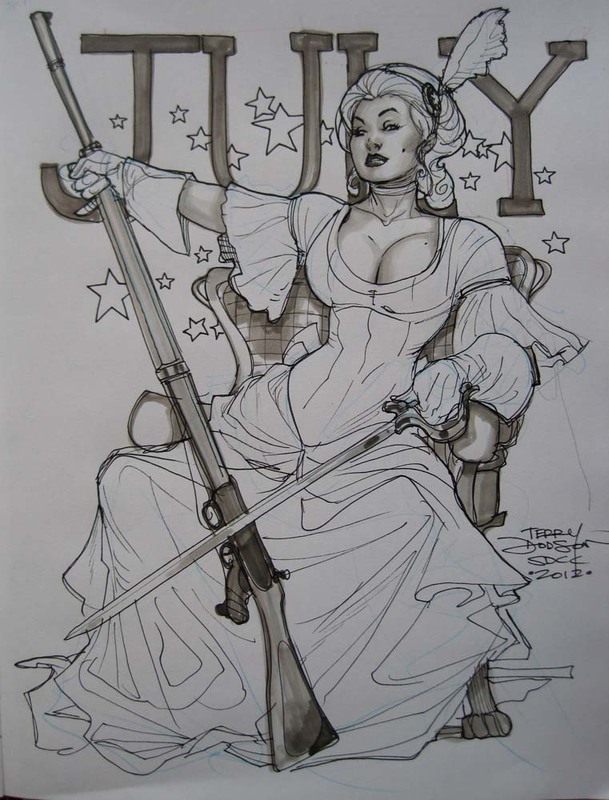 Flesk: Celebrating a Decade of Publishing, featuring panelists John Fleskes, Terry Dodson, Mark Schultz, Jim Silke and William Stout, with moderation by Jonathan Leveck. 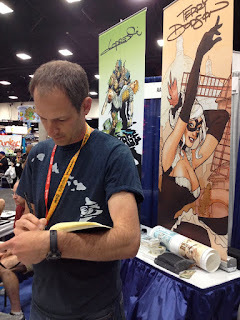 Flesk will announce its exciting line of new titles coming out in the fall. 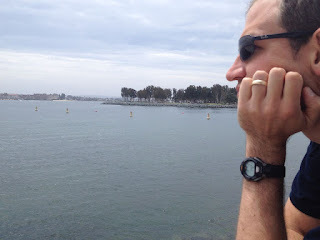 Thursday 10:00-11:00 in room 32AB. 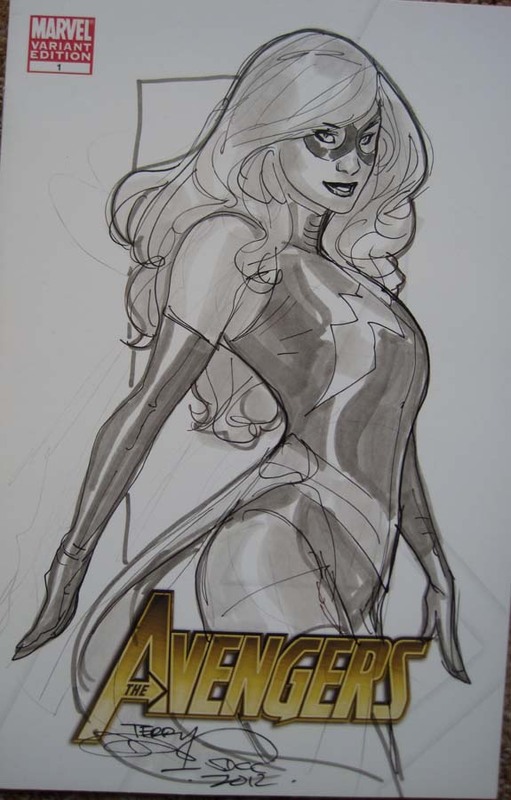 I will be selling original art from Avenging Spider-Man, AVX VS, The Defenders, Uncanny X-Men, Wonder Woman and selected covers, pinups and sketches PLUS some brand new art from Rachel and I! 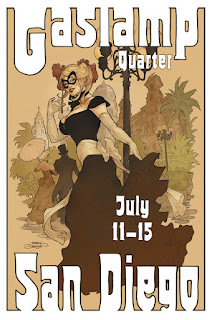 I will have my brand new "San Diego Gaslamp Quarter" Print in a signed and numbered limited edition of 250 copies, plus my Paris and Seattle prints for sale. 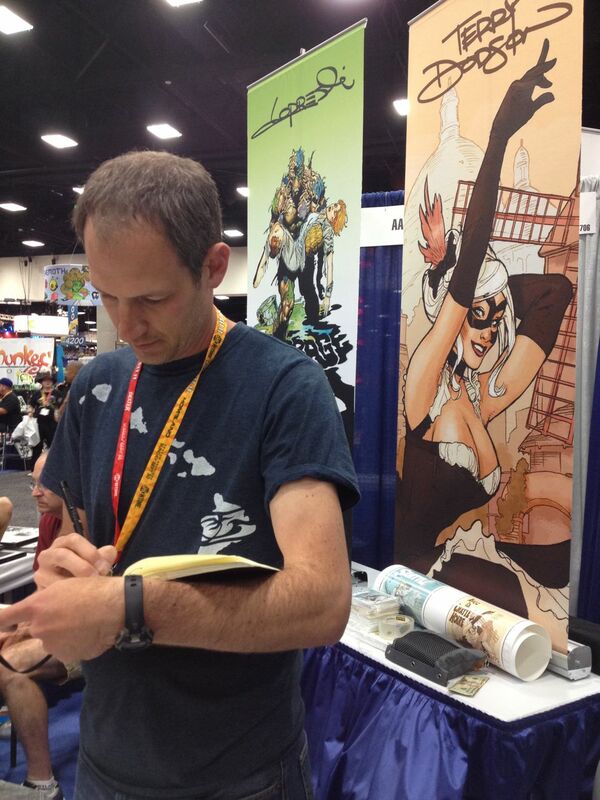 I will also have postcards of all 3 available as well. 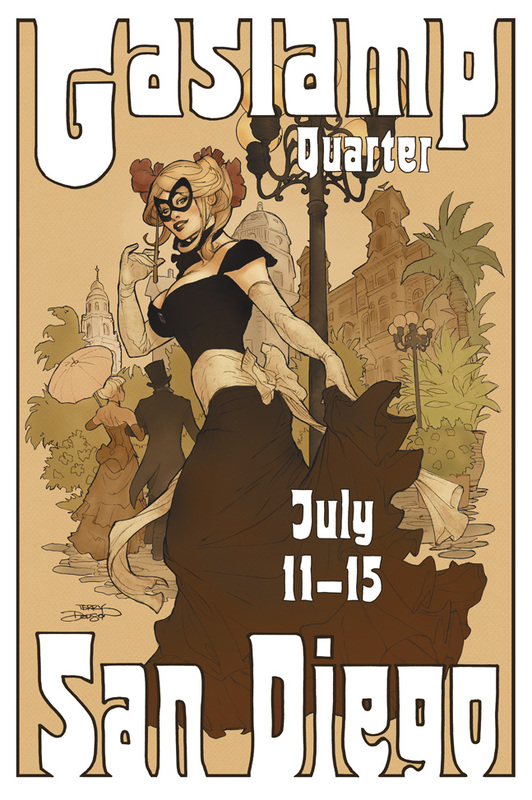 Here's my new print for Comic Con International, San Diego - featuring a little masquerade fun in the Belle Epoque/Old West era of the historic San Diego Gaslamp Quarter. 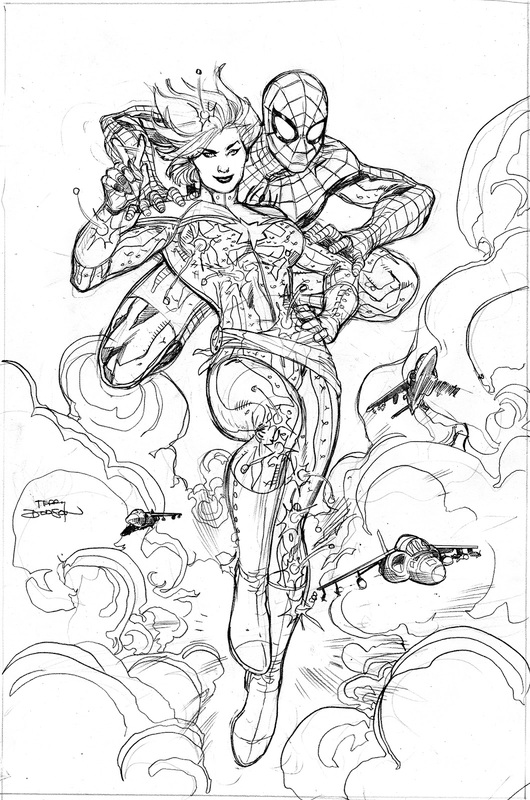 It will be a 11" x 17" sized print, signed and numbered limited edition of 250. 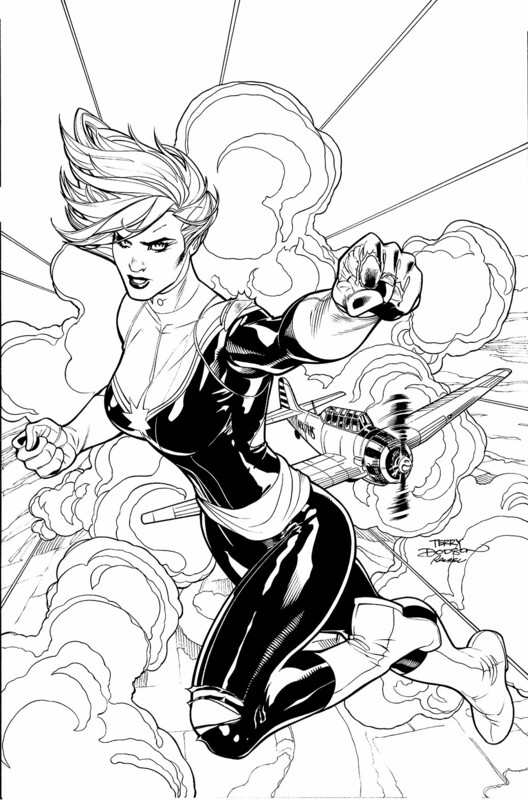 All lettering was hand lettered with a Black Copic Marker and .08 Copic Multiliner and then dropped in via Photoshop.